One of Tennessee’s top targets in the 2020 recruiting cycle will be in town in just over a week. Four-star defensive end/outside linebacker BJ Ojulari is one of the Vols’ higher priority targets in the 2020 cycle. He’s teammates with current Vol commit and four-star quarterback Harrison Bailey at Marietta High School, and he’ll reportedly be in Knoxville on April 4th according to Vol Recruiting Reports. Per the 247Sports Composite rankings, Ojulari is the No. 156 overall prospect in the 2020 class. He’s also rated as the No. 9 weak-side defensive end in the cycle and the No. 18 player in the state of Georgia. Make sure to get all of our in-depth recruiting analysis and coverage by becoming a member of RTI Premium today! Ojulari has already visited Tennessee multiple times over the past year, and the Vols are considered one of the favorites in his recruitment. 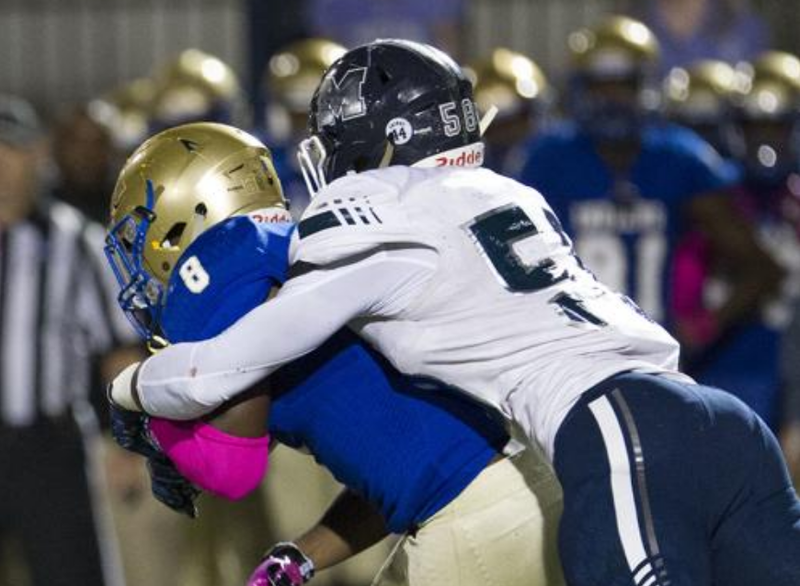 The 6-foot-3, 220-pound pass rusher has already attended a Junior Day event on campus back in January of this year, and he visited twice during UT’s season last year. He was also in Knoxville for UT’s big BBQ event at the end of July in 2018. Right now, Ojulari holds offers from teams like Alabama, Clemson, Georgia, Oklahoma, Auburn, Florida, and Michigan among many others. As for Ojulari, he’s a very versatile defender who shows a lot of promise at the next level. The Vols currently have only four players committed to them in their 2020 class, and only two of them are on the defensive side of the ball. Four-star defensive tackle Dominic Bailey and four-star JUCO defensive end Jordan Davis are UT’s only defensive commits in the 2020 cycle thus far.